I was lucky growing up. Not only did I have a family full of strong and independent woman but they also encouraged me to read and gave me a number of books with strong female characters. I am so glad more and more authors are giving young girls more female heroes and women to admire. In the 1980s, biography-loving schoolgirls had to content themselves with predictable accounts either of a few favored first ladies like Dolley Madison (with the inevitable ice cream associations) and Abigail Adams, or of the courageous nurses Clara Barton and Florence Nightingale. Remarkable women, for sure. But in the last decade especially, authors of children’s biographies have put their “Free to Be” ideals to paper, not only writing sophisticated history, but also exploring the lives of women quite different from the usual girl-crush suspects. Two new biographies, the bittersweet “Queen of the Falls,” written and illustrated by Chris Van Allsburg, and the rollicking “Nurse, Soldier, Spy,” written by Marissa Moss and illustrated by John Hendrix, are admirable and enlightening examples. In “Queen of the Falls,” daredevil heroism comes unexpectedly from a former charm school teacher, 62-year-old Annie Edson Taylor. Widowed and poor, with few marketable skills, Taylor had the inspiration to barrel (literally) over Niagara Falls as a way to fame and fortune — an early-20th-century David Blaine. She was the first person to perform the stunt, and remains the only woman ever to go over the falls alone. Best known for fiction, in particular his Caldecott Medal winners “Jumanji” and “The Polar Express,” Van Allsburg adeptly turns an oddball historical footnote into an accessible adventure story for young middle-grade readers. The language is straightforward, and Van Allsburg’s trademark sepia-toned pencil drawings are, as always, superb. The book’s only shortcoming is its failure to explain what could have been going through Taylor’s mind, though perhaps such folly is ultimately unknowable. “Nurse, Soldier, Spy” tells the fascinating story of another nonconformist, the cross-dressing Civil War hero Sarah Emma Edmonds, who, under the name Frank Thompson, joined the Union Army at age 19, becoming a battlefield nurse (“something only men with the strongest stomachs did”) and later a spy. Moss, best known for her winning middle-grade series, Amelia’s Notebook, is a lively prose writer, and Hendrix’s illustrations inject humor into what is actually a serious, if somewhat improbable, subject. 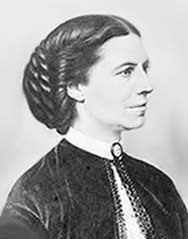 Edmonds’s life story (described in an 1865 memoir, “Unsexed; Or, the Female Soldier”) will appeal to a wide range of readers — girls hungry for heroines, Civil War buffs, adventure story lovers. The only question is for what age. Moss treats Edmonds almost as a transgendered man, calling her “Frank” throughout the story — though still using the feminine pronoun. It’s a decision that may confuse less sophisticated readers (and perhaps merits the publisher’s recommended age range of 9 to 12, though the book would otherwise work well for 7-year-olds). Refreshingly, however, “Nurse, Soldier, Spy” doesn’t shy from historical specificity, naming battles and addressing issues like desertion and treason. Both books are well researched and include historical afterwords as well as photographs of their subjects — women who deserve this newfound recognition.